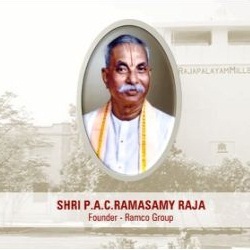 Rajapalayam Mills has acquired the entire 60,00,000 equity shares of Rajapalayam Spinners (RSPL). The company has acquired the shares from shareholders of RSPL on November 14, 2011. By virtue of this acquisition of shares, RSPL has now become a wholly owned subsidiary of the company. Rajapalayam Mills is engaged in manufacture and sale of yarns. It is one of the most advanced textile mill in the country and is setting the industry standard for quality and price for many years. Rajapalayam Mills is the first in the country to acquire an Open End Spinning machine in early eighties.